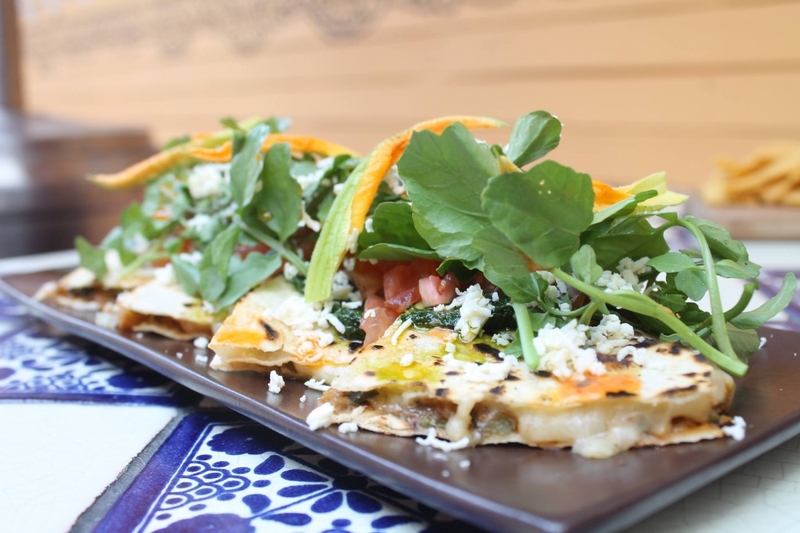 From tacos to taquitos, quesadillas and enchiladas—Sydney has some pretty incredible Mexican eateries on offer to spice up your evening. Here's where to get your 'South of the Border' cravings covered. With a philosophy of market to table, Méjico's seasonal menu is created around fresh, flavoursome ingredients. The long dining tables make it perfect for large groups, whilst the bustling atmosphere and vast tequila menu guarantee a fun night out. Be sure to order Méjico's signature guacamole, which is smashed tableside with habanero chillies, spices and herbs. This elegant eatery is taking a modern approach to Mexican street food, fusing traditional and contemporary flavours. Hand-rolled tortillas are made fresh daily, and arrive filled with all sorts of delicacies. Add one of their famous margaritas to your meal and settle in for a Mexican-themed fiesta. 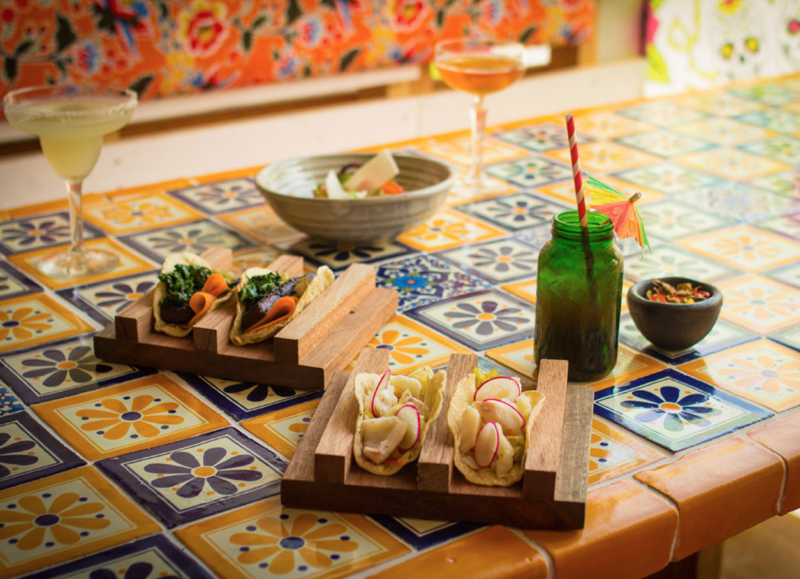 Settle in at one of Barrio Chino's whitewashed booths and feast on some of Sydney's most exciting Mexican fare. In the heart of Kings Cross, Barrio Chino's rustic Mexican share plates will guarantee your stomach a delicious work out and your tastebuds hungering for more. Wash it all down with a frozen slushie or two! The food is cheap and the drinks are strong—so get to this Surry Hills cantina for a guaranteed good time. The tacos come in at $5 a pop with fillings such as: spit-roasted pork and pineapple salsa; chilli marinated tofu with pico de gallo; and chicken with sweet corn. The secret taco changes daily and is always delicious. Don't be fooled by its location, this Bondi Junction establishment is serving up some of the best Mexican in Sydney. With experienced chef Matthew Fitzgerald at the helm, the menu is inventive with standout dishes including: soft shell crab with achiote sauce; zucchini flower and quinoa quesadillia; and chipotle char-grilled prawns. The drinks menu has been carefully curated to complement the modern Southwest Mexican menu. Beach Burrito Company (BBC) has firmly made its mark on Sydney's Mexican dining scene with locations in Darlinghurst, Bondi Beach, Newtown, Cronulla and Coogee. The menu spans Mexican street food favourites, with buckets of beers, frozen cocktails and sangria to wash it all down. Mexican food on the move? We say YES! Serving up delicious Mexican street food via their food truck and Oxford Street outposts, the Cantina is much loved amongst taco-craving Sydneysiders. Located on King Street in Newtown, this Mexican eatery dishes up all your favourites including: four different types of nachos; a variety of burritos; and Mexico's classic dish "mole poblano" (made with a unique spicy chocolate sauce). BYO drinks and settle in for the night.